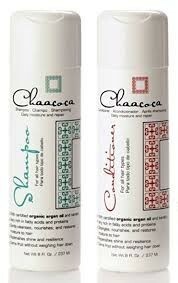 Formulated with organic argan oil and proteins, Chaacoca shampoo restores natural moisture level with a rich thick lather and detangles as it cleanses. Gentle enough for daily use. This shampoo is color safe, it is also ideal for chemical-treated and over stressed hair. Sulfate, phosphate, and paraben free.